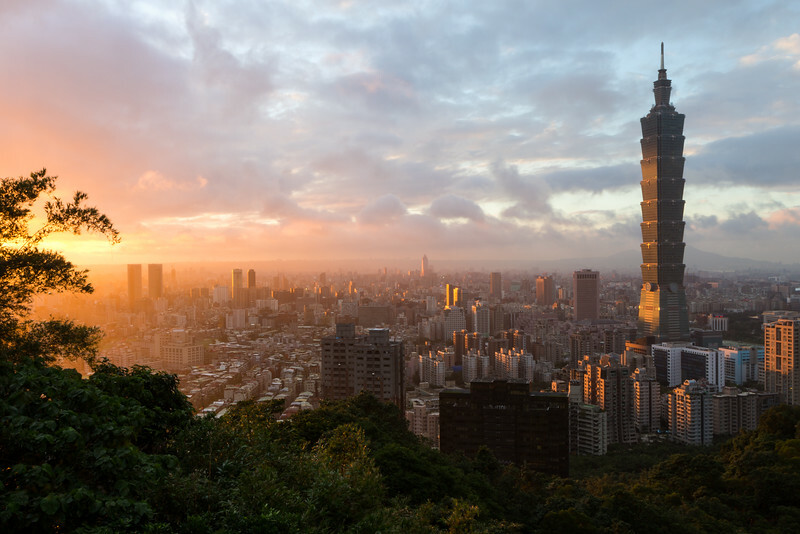 Beautiful sunset in Taipei, Taiwan. There is some great lighting coming through on this shot. Excellent.